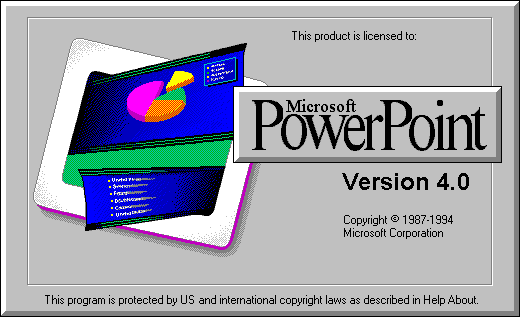 A coworker told me he couldn’t open a couple of PowerPoint presentation files, because they are really old. He said he’s trying to open the presentations with Microsoft PowerPoint 2010 with no success. “How old are they?” I asked him. “Pretty old” he said. “Send it over” I told him. Once I got the files, I realized they are really, really old. 1998 old. Yep. Newer versions of Microsoft PowerPoint (2007, 2010, 2013, Office 365) won’t support and open older versions’ files. This is how to open old PowerPoint presentation files in Office 2007, Office 2010, Office 2013 and Office 365. Zamzar is a website for file conversion. It allows users to convert files without downloading a software tool, and supports over 1,000 different conversion types. 2. Select files or URL (where the file is located) to convert. 3. Choose the format to convert to (in our case – convert to ppt (1997-2003). 4. Enter your email address to receive converted files. 5. Click “convert” and wait. Within a couple of minuets (might be more than that) you’ll get an email with a link to download your converted file.